On Stormhold or Deathtoll? 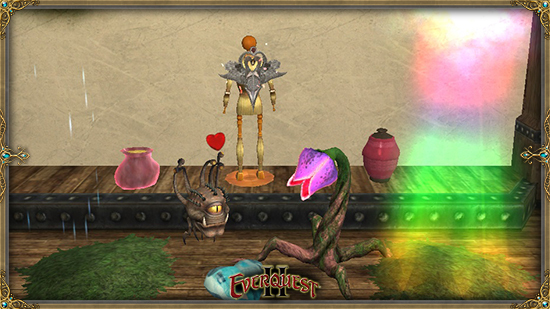 While the full event will not be available on the TLE servers, there WILL be a special Erollisi Day merchant in Freeport and the Qeynos Province District so you can still get into the spirit of the celebration. Make sure you visit the Marketplace as well, for new holiday items will be introduced as well! Our hearts are aflutter with all the excitement. We’ll see you in Norrath (and might even have a rose to give you!). Cyliena delivered an updated guide and has graciously provided it to us here on EQ2Wire. Lera has updated his encyclopedic EQ2Furniture site with the new items for this year’s Erollisi Day. 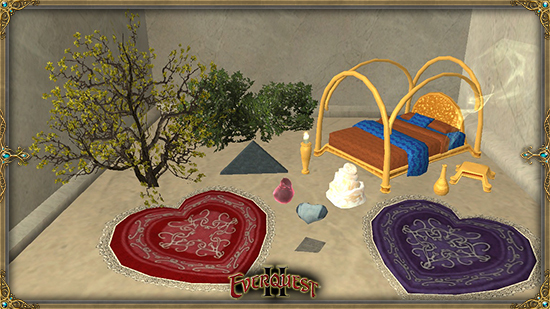 If you’ve never visited, his site contains screenshots from several angles of nearly 10,000 house items which you can place in EQ2. Not bad for a house elf! Daicia has updated EQ2 Wikia with information about additions to the event over the last few years.